Sailpast is an annual tradition at KYC, please come out and partake in the festivities! The red fox by Mackinnon's Brewery is now available on tap. It is an easy drinking ale with a distinct colour and flavour from the addition of beets. Citra Hops deliver a foxy, citrus bitterness. Up next, is Kingston's very own Skeleton Park. It went so fast last week, Greg thought it would be fantastic to have it on tap once again. The first is a Sauvignon Blanc, 2014 Domaine Chatelain Les Vignes de Saint-Laurent-l’Abbaye Pouilly Fumé. This wine comes from the Chatelain family that has been making wine in the Loire Valley in France for 12 generations. This is a modern take on Pouilly Fumé, one of the great Sauvignon Blanc producing regions of the world, that might be described as New Zealand meets the Loire Valley. The palate has notes of green apple, grass and lemon notes with good minerality. In other words, it's the perfect wine to sip outside at KYC and enjoy the summery weather. The second is a classic red from the Rhône Valley in France, Xavier’s 2012 100% Côtes du Rhône. This is a blend of Grenache, Syrah, Mouvedre, Cinsault, Carignan and Marselan grapes. The nose has notes of blackberry, raspberry and floral notes. The palate is concentrated, medium to full-bodied and is complex with a long finish. This is a great red to pair with steak, cured meats and strong cheese or enjoy on its own. Ask your servers to try one or both of these wines on your next visit to KYC. 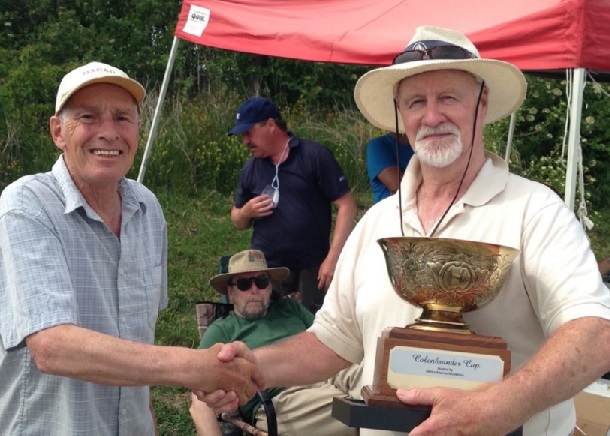 John Lowther and Paul Switzer competed against 20 other individuals last weekend in Toronto at the Port Credit Marina in the Calenbrander Cup. John came out victorious with Paul in a close second place. The comeptition had light winds, with temperatures of 32 Degrees. Able Sail Kingston has been awarded a very generous grant from the Community Foundation of Kingston and Area. The program received $13000 from the Helping Hands for those with Disabilities Fund, the Cyril E. Wharrie and Evelyn D. Wharrie Fund and the Larry Gibson Community Fund. 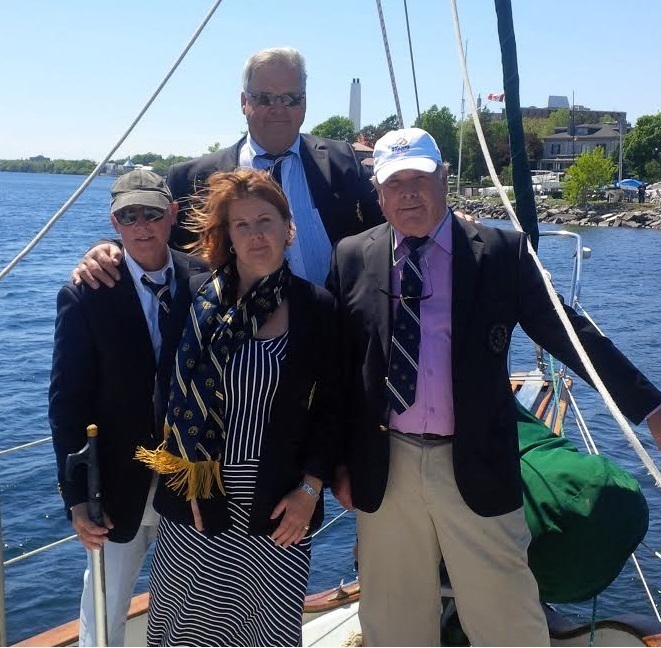 Funds will be used to hire a second instructor for the summer 2016 season and to enhance group sailing on Zest, the Sonar donated last year by the late Ron Watts. The Adult Learn to Sail has undergone some minor changes. If you were unaware, or would like more information on the updates, please click the link below to learn more about the changes and updates to the Adult Sailing Program. Make sure to tell your friends and colleagues! Planning for 2016 regattas at our club is going well. To provide the best events we need lots of volunteers - people to work on water and to help ashore. More information about these events is posted to the KYC website under the Sailing/Racing/Regattas tab. If you'd like to come and play, send your name to Greg McNab manager@kingstonyachtclub.ca. We'll get back to you about scheduling. Everyone is welcome. For new people we'll provide training. For those who have been involved previously, we'll just provide the usual fun. Up-coming RVCC checks will be performed at KYC on Sunday, June 12th from 10:00am to 2:00 pm.